The presidential and parliamentary elections will take place under a state of emergency that has been in place since an attempted coup in July 2016. Turkey introduced a state of emergency five days after the 15 July 2016 attempted overthrow of Erdoğan. The state of emergency was renewed for the seventh time on Wednesday after parliament approved a three-month extension. The European Commission on Tuesday urged Turkey to “lift the state of emergency without delay” in its latest report on Ankara’s bid to join the EU. “The broad scale and collective nature, and the disproportionality of measures… such as widespread dismissals, arrests, and detentions, continue to raise serious concerns,” the Commission wrote. 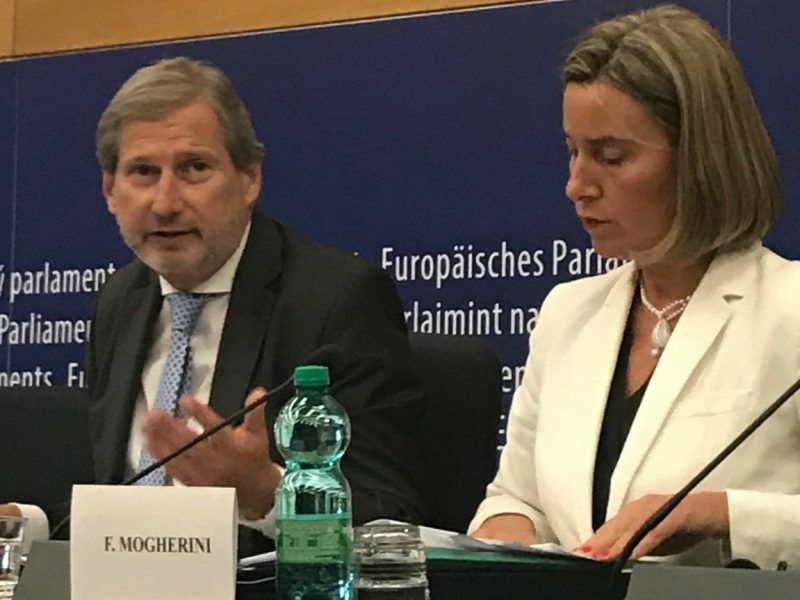 The top European Union official handling now-stalled talks on Turkey’s joining the EU said Tuesday that Ankara was moving rapidly away from the path of membership – Brussels’ bluntest criticism yet of what it sees as a Turkey’s shift towards authoritarianism. In 15 years of rule as prime minister and then president, Erdoğan has transformed a poor, sprawling country at the eastern edge of Europe into a major emerging market. But Turkey’s rapid growth has come been accompanied by increased authoritarianism, with a security crackdown since the failed coup leading to the arrest of tens of thousands. Last year, Erdoğan narrowly won a referendum to change the constitution and create the executive presidency. The changes take effect with the next presidential vote. The referendum was also held under the state of emergency. 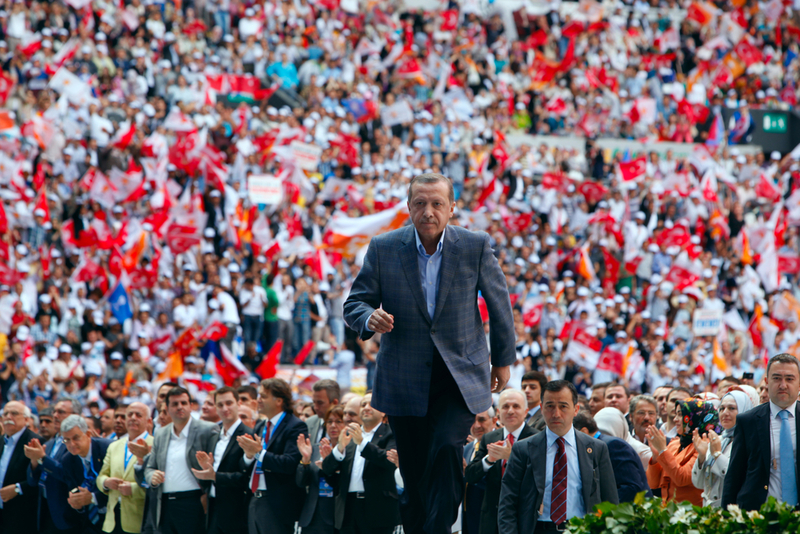 The government had repeatedly denied reports it would bring forward the elections, which were not due until November 2019, but Erdoğan said Turkey should leave political uncertainty behind. “By calling snap elections for June, Erdoğan is signaling that he believes his support, at least for the near future, has peaked. 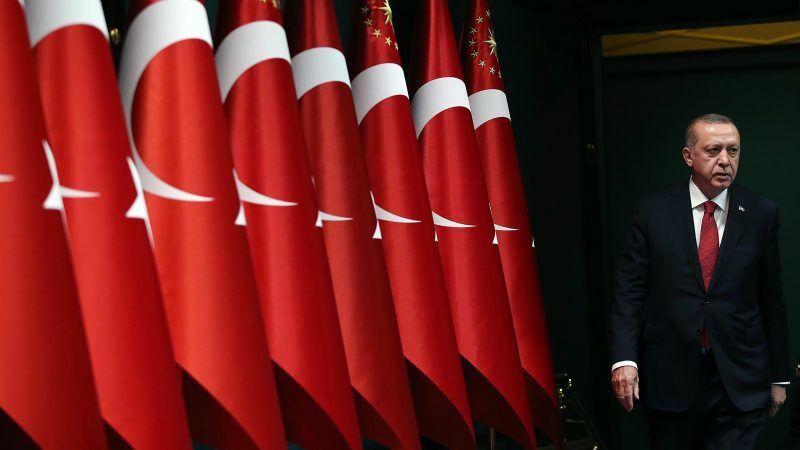 He may well be worried that if Turkey’s economic problems continue to worsen it will take a toll on his support,” said Nicholas Danforth, a senior policy analyst at the Bipartisan Policy Centre in Washington. The announcement was made after Erdoğan held talks with the head of the nationalist MHP party, Devlet Bahceli, who a day earlier had floated the prospect of an early election. Bahceli’s small MHP party is expected to form an alliance with Erdoğan’s AK Party in the parliamentary election. Three hours after Erdoğan’s declaration, the High Electoral Board said it had completed all preparations for early elections and was waiting for approval from parliament, where the AKP has a majority. The main opposition CHP party called for an immediate end to the emergency, which allows Erdoğan and the government to bypass parliament in passing new laws and allows them to suspend rights and freedoms. Turkish authorities will soon dismiss nearly 3,000 military personnel over links to the movement Ankara blames for the 2016 failed coup, a government minister said on Wednesday. Turkish Defence Minister Nurettin Canikli said officials “discovered a nearly three-thousand strong structure” in the armed forces, state news agency Anadolu reported. “In the coming days they will be dismissed by emergency decree. We have sent (the paperwork) to the prime ministry,” Canikli said in parliament. Under the state of emergency the government has used decrees to suspend or sack over 140,000 public sector employees including teachers and soldiers over alleged links to US-based Muslim preacher Fethullah Gülen or Kurdish militants. So far, 8,568 Turkish armed forces personnel have been sacked in a major purge of the military. This includes 150 generals, over half its pre-coup contingent of top ranking officers. Turkey claims Gülen ordered the coup but he denies the accusations. Canikli defended the state of emergency saying it had “only affected terror organisations, terrorists and their supporters”, Anadolu quoted him as saying.